FREE DELIVERY use code: SantaBarbara! We know that Christmas can be an expensive time of year so Barbara has offered to help out. 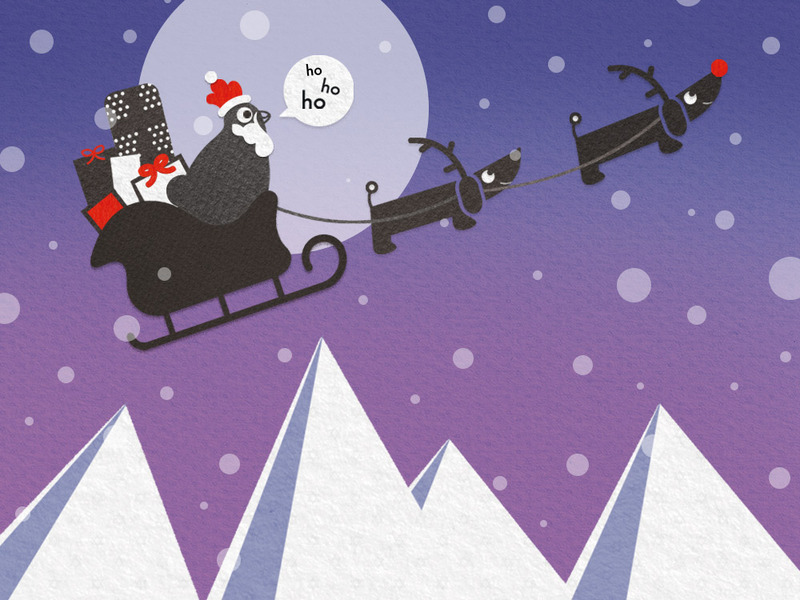 She will be flapping her wings around the globe delivering our products for free in the lead up to Christmas. Our Barbs won’t take flight for anything less than £50 so make sure you have enough in your basket to qualify. She’s upgraded her sleigh so she can carry anything from a New Eglu Cube to a Qute Hamster House all for FREE! To claim the free delivery offer just use the code ‘SantaBarbara’ when you get to the checkout. Merry Christmas from the team at Omlet! We know that Christmas can be an expensive time of year so Barbara has offered to help out. She will be flapping her wings around the globe delivering our products for free in the lead up to Christmas. Our Barbs won’t take flight for anything less than £50 so make sure you have enough in your basket to qualify. She’s upgraded her sleigh so she can carry anything from a New Eglu Cube to a Qute Hamster House all for FREE! To claim the free delivery offer just use the code ‘SantaBarbara’ when you get to the checkout. Merry Christmas from the team at Omlet! Terms and conditions: Purchases must be over £50/€50 in total. Omlet reserves the right to withdraw the offer at any point. Offer applies to Standard Delivery Service only not Home Delivery Service. Offer excludes Eglu Classic House, Runs and Accessories. Also excludes Boughton Chicken Coops, Lenham Chicken Coops, Eglu Cube Mk1 and Beehaus. Codes may not be redeemed after 11.59pm 23/11/16. Omlet cannot take responsibilty for third party supplier delays such as courier service.